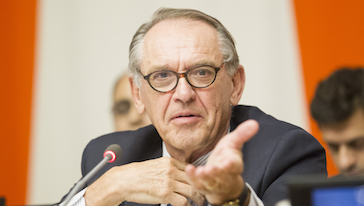 Jan Eliasson is the former Deputy Secretary-General of UN . Eliasson was from 2007-2008 the Special Envoy of the UN Secretary-General for Darfur. Prior to this, Jan Eliasson served as President of the 60th session of the UN General Assembly. He was Sweden’s Ambassador to the US from September 2000 until July 2005. In March 2006, Mr. Eliasson was appointed Foreign Minister of Sweden and served in this capacity until the elections in the fall of 2006. Eliasson served from 1994 to 2000 as State Secretary for Foreign Affairs, a key position in formulating and implementing Swedish foreign policy. He was Sweden’s Ambassador to the UN in New York 1988-92, and also served as the Secretary-General’s Personal Representative for Iran/Iraq. He has been a Visiting Professor at Uppsala University and Gothenburg University in Sweden, lecturing on mediation, conflict resolution and UN reform. Jan Eliasson, former Sweden's Foreign Minister and Deputy Secretary-General of UN will speak on global problems and global solutions. Join us live at 10:00 am CET on 15th November #KAPTalks. When: 15th November 2017 at 10:00 am CET / 9:00 pm GMT (check time around the world). coming to the event in Stockholm. Register here. On January 1, 2016, the seventeen Sustainable Development Goals (SDGs) came into force. Over the next fifteen years, with these new goals that are universally applicable, countries will mobilize efforts to end poverty, fight inequalities and tackle climate change. These goals spell out the challenges we need to meet to ensure the sustainability of our planet, and to ensure prosperity and equity for all. To solve the global challenges of today we need to think of the world as one system. Jan Eliasson, former deputy secretary general for the United Nations and former Foreign Minister of Sweden, discusses how the development goals are mutually reinforcing, interdependent and universally applicable. Furthermore, he argues that progress in reaching the goal on peace, justice and strong institutions underpins realizing all 17 goals. 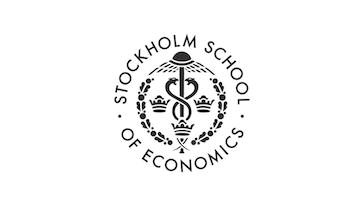 Together with a panel and the audience we will discuss the sustainable development goals and Sweden´s role around them.